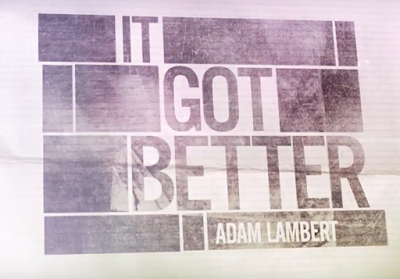 Adam Lambert is featured in the newest (Season 3) "It Got Better" series, a follow up to his 2010 "It Gets Better" video. 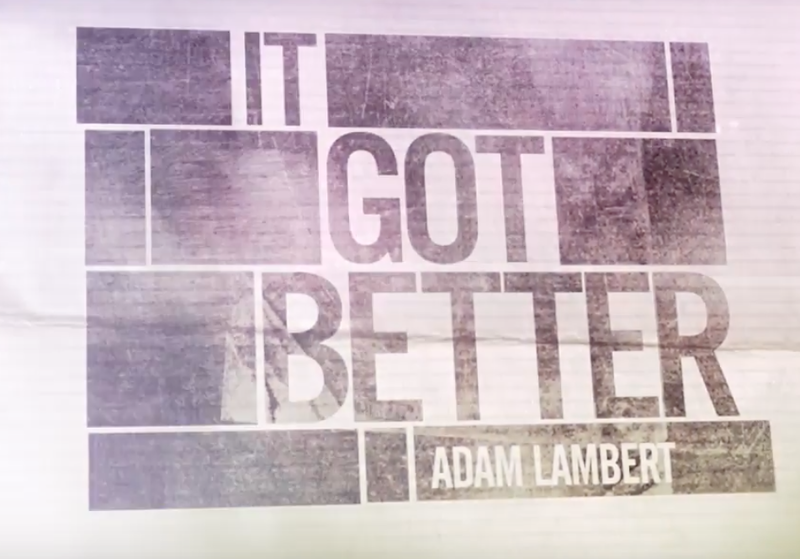 He is one of six celebrities interviewed for the series this season..
Watch how #ItGotBetter for me! "TORRANCE, Calif., May 24, 2016 /PRNewswire/ -- The third season of docuseries "It Got Better," a collaboration between the creative team of Lisa Kudrow and Dan Bucatinsky's Is Or Isn't Entertainment ("The Comeback"; "Web Therapy"; "Who Do You Think You Are?") and Dan Savage ("Savage Love") and the It Gets Better Project, premieres today on Lexus' digital content channel L/Studio (LStudio.com). With the series' third season debut, L/Studio demonstrates its continued support of this passion project from Kudrow/Bucatinsky, who produced the channel's Emmy-nominated and Webby award-winning "Web Therapy" series"
"Inspired by the Emmy Award-winning It Gets Better Project and the Emmy-nominated "Who Do You Think You Are? ", the series shares LGBT celebrities' personal stories of overcoming obstacles while putting their struggles and successes in historical context. Each of six episodes chronicles the life of a star with a focus on how and when "it got better" for them. All six videos are now available on LStudio.com and YouTube. This season's episodes feature actor Sir Ian McKellen; singer/songwriter Adam Lambert; actress and talk show host Raven-Symoné; comedian Wanda Sykes; actress Candis Cayne; and reality TV star EJ Johnson. " 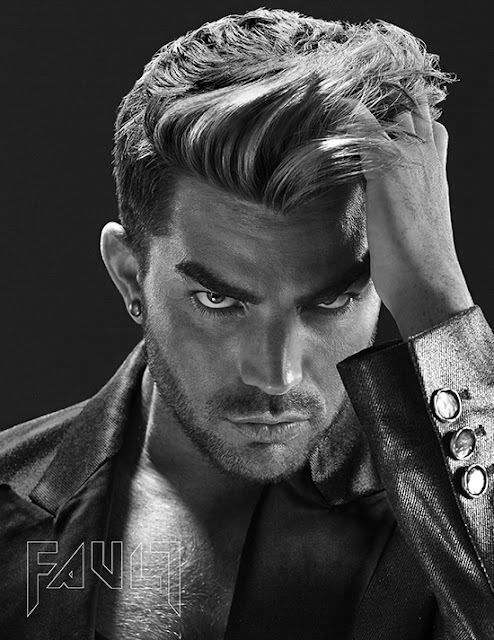 "Adam Lambert rejected the notion of “normal” in order to embrace both his individuality and sexuality"
As usual Adam brings light into darkness in his own unique honest way. He is the forerunner in the LGBT community as he always is open-- best endorsement. what an incredible role model he is for young LGBT !! Adam's parents and sibling Neil deserve a lot of credit, they provided that strong and loving foundation which allowed Adam to grow his own wings and soar. They supported not only his sexual identity but his artistic identity. Hopefully the world will see more Leilas, Ebers, and Neils. We do know that Neil and Adam did not get along very well for some years. And Adam's sexuality was one factor in that. Eber said as much in an interview. I think the two brothers had a rough time for quite a while before maturity took over. Adam's parents were the ideal as far as accepting a gay child is concerted. Adam was lucky in that regard along with the fact that he has a naturally easy-going personality. An honest, thoughtful narrative by Adam. I'm sure it will be helpful to many young LBGT people. Actually, it should be helpful to many straight people, too.... which is just as important IMO.